The debt collection industry is in desperate need of two things from our federal government in order to begin to modernize the debt collection process, clear exclusion from the Telephone Consumer Protection Act and a concise determination made if a debt collector’s voicemail to a consumer is a communication as defined in the Fair Debt Collection Practices Act. Lawsuits alleging violations of the Telephone Consumer Protection Act are increasing at a rapid pace against debt collectors, with each lawsuit threatening the potential liability of class action litigation. The purpose of the TCPA was to regulate “unsolicited advertisements” and “telephone solicitations.” In fact, “unsolicited advertisements” and “telephone solicitations” are referenced 39 times in the text of the TCPA. Debt collection is not mentioned once. Debt collectors do not randomly dial phone numbers, but rather have an established business relationship with the consumer. According to Pew Research Center, in 2012 88% of adults owned a cell phone, with that percentage expected to further in 2013. Even more, 1/3rd of American homes use a cell phone as their only and primary phone source according to the CDC and National Center for Health Statistics. Debt collectors need to be able to communicate with consumers to help them resolve their debts. Because the text of the TCPA did not exclude debt collectors specifically, it has opened up the law to be misinterpreted by the courts, which has created a cottage industry of attorneys filing lawsuits on technical violations. With the amount of delinquent consumer debt, the inability to efficiently contact consumers on their cell phones using advanced telephone systems will continue to result in less voluntary recoveries and more legal actions brought against consumers by creditors. Advanced phone systems also confer important benefits to consumers and the technology is precise and maximizes consumer privacy by eliminating dialing errors that risk inadvertent contacts with individuals other than those responsible for the debt. In fact, in President Obama’s Plan for Economic Growth and Deficit Reduction plan from September 2011, page 28 states “Allow agencies to contact delinquent debtors via their cellular phones,” if they are delinquent on government debt. The president says this would mean “substantial increases in collections.” The debt collection industry agrees with President Obama. Furthermore, in a 2012 ruling, the FCC also made a clear differentiation between informational, non-telemarketing calls such as those used to collect debts versus telemarketing calls. 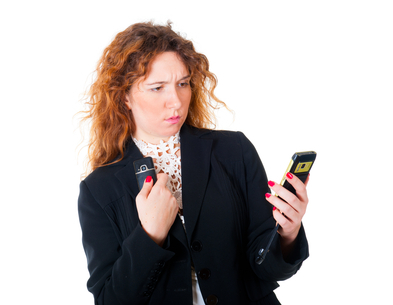 The Catch 22 dilemma with voicemails is due to a consumer suing a debt collector because the debt collector failed to identify themselves as such on a voicemail. The consumer argued the voicemail was a communication, while the debt collector argued since they did not speak with the consumer and no information was given about the debt it was not a communication. The court determined the voicemail was a communication and therefore a violation of the FDCPA Section 806(6) and thus the “Foti” decision was born. Since then, courts have been inconsistent in determining if a voicemail is considered a communication as defined by the FDCPA. This Catch-22 has created a large market for frivolous lawsuits. In order to prevent these lawsuits all that is needed is a clear and definitive determination from the federal government as to whether a voicemail being left is a communication as defined by the FDCPA. Changes to these issues for the betterment of the debt collection industry is going to take time, effort, energy, and a collective effort educating and persuading lawmakers at the state and federal levels to modernize the debt collection industry. In future articles we will take in-depths looks at both issues, along with what is being done by those within the debt collection industry on a local, state, and federal level to make a difference.